Rahul, a 5th grader in a CBSE school is eagerly looking forward to the double periods of science that he has every week. It was in these periods that his teacher brought all sorts of exciting things to class and he always enjoyed learning science and remembered all that she taught him. Vidya, Prerna and Iqbal in middle school of an ICSE school, are busy making their projects. Their teacher had asked them to research on a particular tribe of people in Africa and present their projects at the school assembly the next week. They were divided into teams and each of them had to work on one particular aspect of that tribe. It was great fun working together, but more than that, they enjoyed finding things out together, discussing it and making their work better and better. Why these examples, you may think… but I hope you have noted the common theme running across all of them… children learn by doing, irrespective of the Board to which they belong. A creative teacher, will always find ways of bringing “doing” into the classroom methodology. In my experience of handling students across cities and boards, during my 18 teaching years and that many consulting years, I can vouch for the joy that activity or project-based teaching brings to the students. The excitement of doing something different, of making the classroom a lab for discovery, truly brings its own rewards, both for the head and the heart. 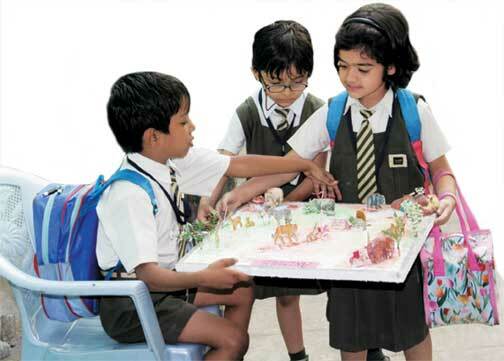 Innovative teaching methodology is like water… finding its own level, irrespective of the board. A common perception that I have seen amongst practitioners during my workshops is that, some boards are more friendly and conducive towards activity-based teaching or the project method while some of them only encourage rote learning so why bother doing things differently! But after trying out some new ways of presenting concepts, there is a near unanimous agreement (some will always remain skeptics!) that it can be implemented by all! After all, ALL teachers, SSC, CBSE or ICSE, get an average of 35 to 40 minutes in class to create history! How do we know and understand that this is a more interesting way? Apart from the steadfastness of progressive forums from all around the country who share best practices, Teacher Plus included, it is easy to see the advantages. Let’s go over it together… you need not take my word for it! Children enjoy it! And what we enjoy, we remember… simple! The Project method follows the multi-sensorial approach to learning, which we now know ensures that all pathways to the brain are opened and therefore more effective learning and retention happens. Complex concepts can be put forward in an easy and simple manner. There is scope to identify and give room for children with different skills to produce a positive output. Creativity is stimulated due to the mind being unfolded in different dimensions. Encourages team work so essential in today’s world. The scope of evaluation expands enormously as both content and skills can be evaluated. Individually and in a group. Re-teaching before exams can be avoided, as there is stronger retention and so one can actually save time, rather than lose it. There is only “productive” noise in class, as children are busy doing meaningful work. Therefore it is easy to keep the class orderly, as all of them are engaged in a stimulating manner. And above all, it makes teaching an enjoyable experience and breaks the monotony that sets in after certain years of teaching. The practitioner is challenged to find new ways of presenting the same concept, depending on the group, each year. It reminds us that it may be the nth time that the teacher may be handling the same concept, but for the child, it’s the first. Before, I give the impression that it is all roses, let me spend a few bytes on outlining the flip side. Of course, that is a very small price to pay for making the teaching – learning process enjoyable. Planning – a must. No number of years of experience can be a reason for entering the class without a time, content and methodology plan. Research – yes, we may need to spend some time researching and reading to keep ourselves updated with new trends and methods. Evaluation – the process may involve a little more expansive record keeping as we are evaluating more number of skills. The joys of Excel, something that me and those of my time, did not have the luxury of! And of course a constant engagement with the school to fight for the child’s right to have stimulating materials. Be they books, teaching materials, stationery, CDs, whatever. And what is in it for me? we may ask as teachers. Do I get extra recognition, extra money, a special promotion? WHY should I do all this? As we celebrate yet another Teacher’s Day, let us remind ourselves that we always have a choice; we have chosen to remain in this vocation. And so long as we stay with the choice, we owe it to ourselves to excel and do our best. And in the process, delight the child! And thus, Vijaya learnt the use of adjectives by describing the biscuit that she brought, including the taste because her teacher asked her to eat it at the end! Rahul actually saw how milk has solids and water, when the beaker of milk into which he was asked to squeeze the lime, separated into 2 parts… and then his teacher also told him that this was how paneer was made! Vidya, Prerna and Iqbal’s team won the 1st prize for their project on the African tribes. They felt proud, because their whole class learnt from the information that they put up! The author is a partner in Edcraft, Hyderabad, a firm engaged in making teaching-learning materials, conducting workshops and providing consultancy services. She can be reached at edcraft94@gmail.com.